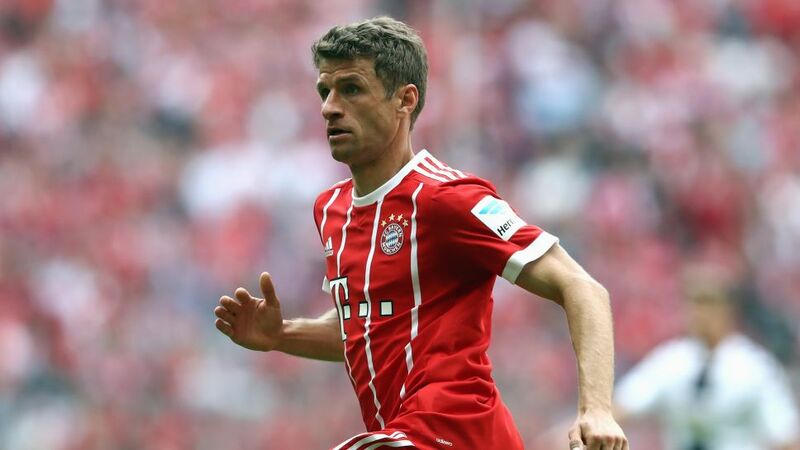 Bayern Munich forward Thomas Müller had surgery on a right thumb injury on Tuesday. The 27-year-old is required to wear a split for the time being, but is expected to be fit for the start of pre-season training on 1 July. In other news, Bayern's Robert Lewandowski has been named Players' Outfield Player of the Season, in a poll conducted by Germany's leading sports specialist magazine, kicker. The Poland international scored 30 Bundesliga goals in 2016/17, one less than Borussia Dortmund forward Pierre-Emerick Aubameyang, who came in third in the ballot behind RB Leipzig midfielder Naby Keita. Bayern goalkeeper Manuel Neuer, who is still recovering from foot surgery, was voted Goalkeeper of the Season for the fourth successive year. Votes were cast by a total of 248 Bundesliga professionals.